Sterling-based SpeedPro Imaging connected business leaders with the art world during a Dec. 2 open house at its Davis Drive studio. 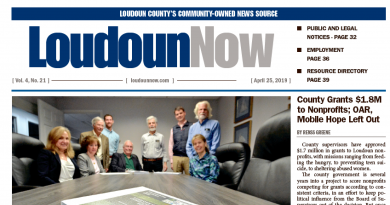 The event showcased the works of more than 20 professional and high school artists and collected donations of food and funds for Loudoun Interfaith Relief, SpeedPro’s 2015 Charitable Partner. Owned by Roman Blazauskas, SpeedPro is a wide-format digital printer that makes graphics for signs, banners, retractable banner stands and vehicle wraps. Learn more at speedpronova.com/. 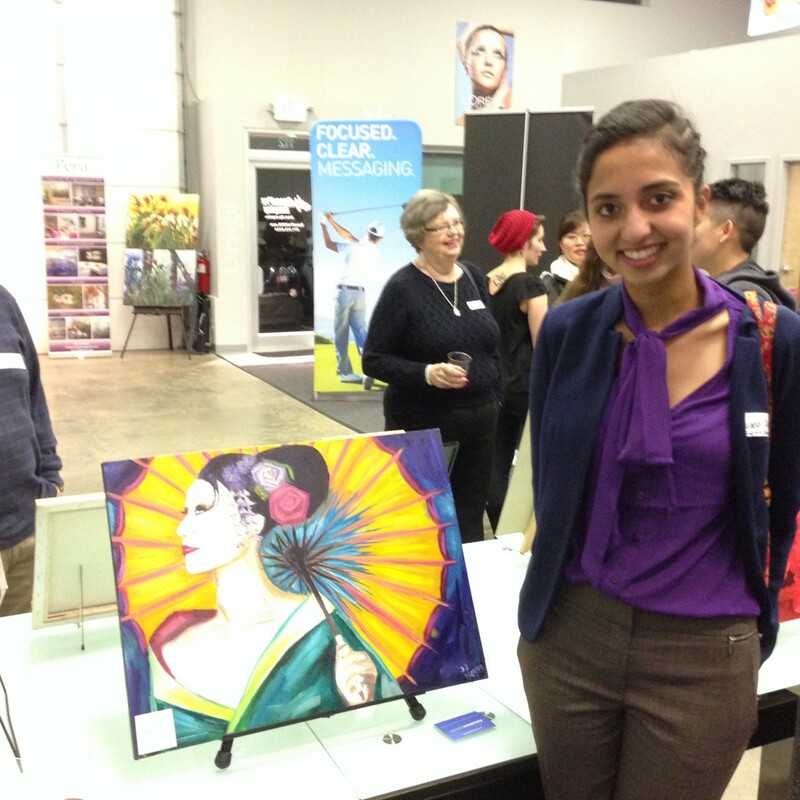 Juhee Jain stands next to her oil painting of a geisha. 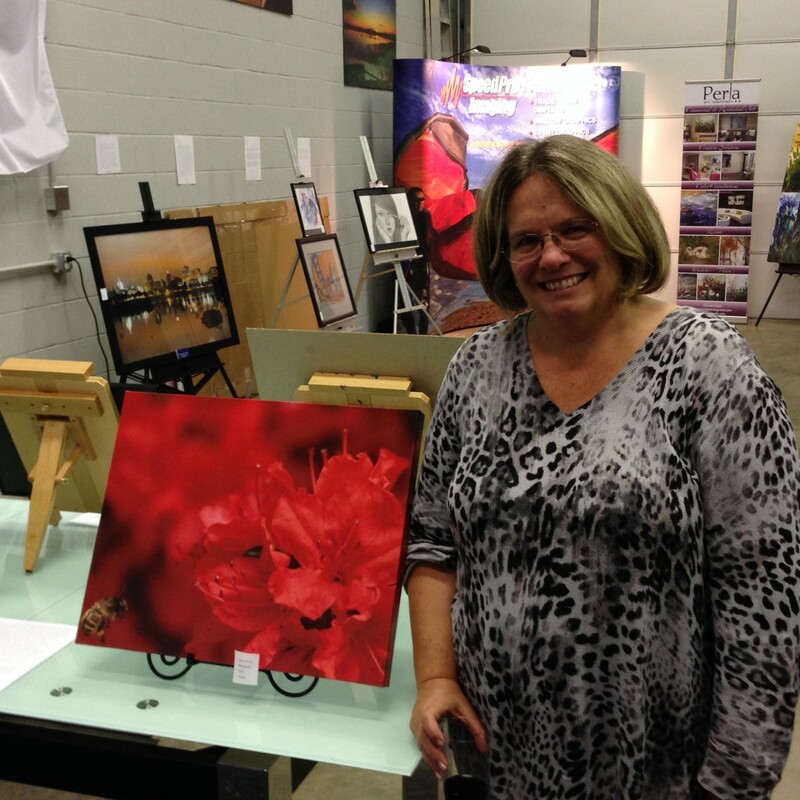 Ashburn’s Laurie Proulx shows her vivid flower photograph.